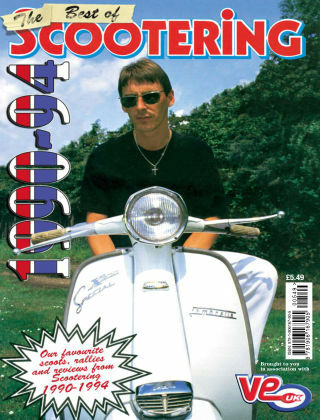 With Readly you can read The Best of Scootering 90-94 and thousands of other magazines on your tablet and smartphone. Get access to all with just one subscription. New releases and back issues – all included. Celebrate the best of the early days of the Scootering magazine, reproducing some of the greatest features, adverts, road tests and letters from the dawn of the magazine and covering the period 1990-1994 Since starting out in 1985, the title has looked at the latest customised scooters on the planet, been to the best events, biggest rallies and featured many reviews, all of which have helped to sustain the scene we have and enjoy today.